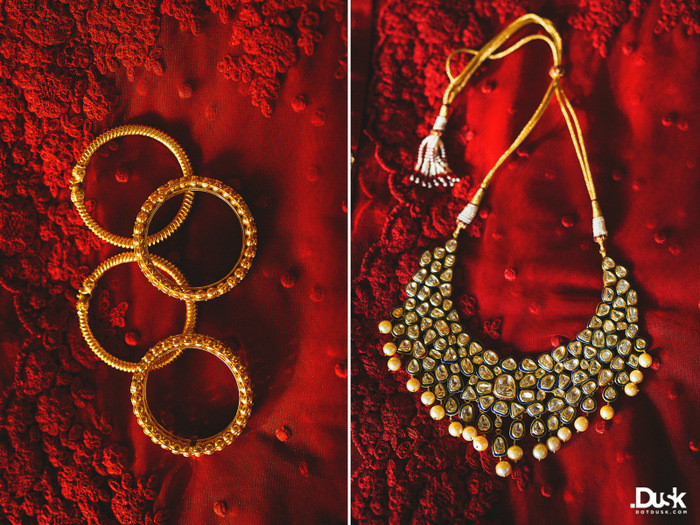 So much beauty captured in these photographs by DotDusk. 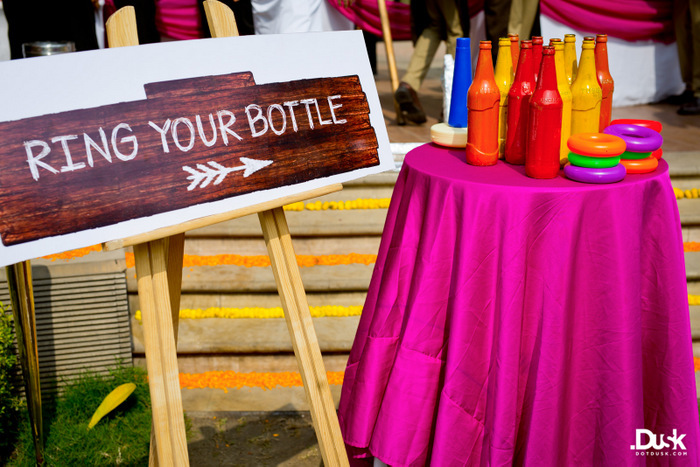 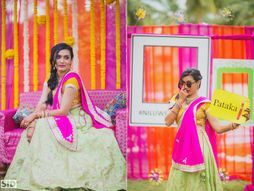 From one of the most stunning bridal portraits against the setting sun, t0 the fun-filled colorful mehendi with games (ring the bottle anyone?) 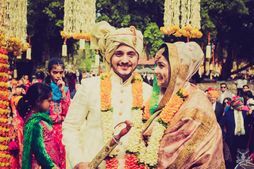 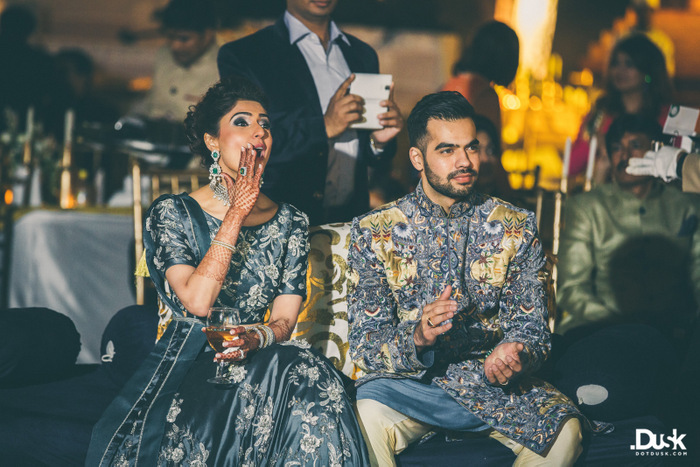 and a rather good-looking couple amidst all these celebrations : Divya and Dhiraj's wedding in Delhi looks like a total blast. 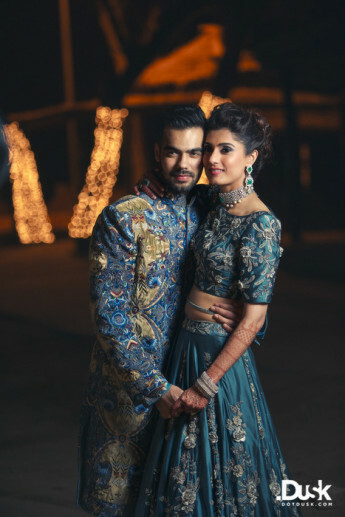 While there is a fair amount of speculation on how exactly they met- the university they studied at, or the gym they attended, what matters is they have been together forever and Dhiraj finally went down on one knee at their favourite hangout- the gym! 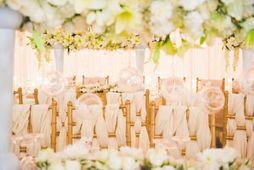 From the bride: I used to be a wedding planner, and the themes and ideas which we incorporated and put together were from all the experiences I’ve had planning weddings for my clients. 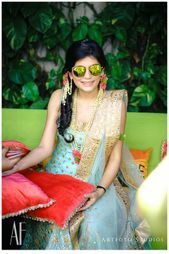 In terms of my style - While the jewelry was over the top, I made sure that the outfits selected were subtle and classic . 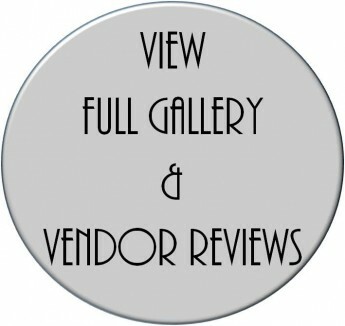 We had a great team of vendors to work with, and Team DotDusk are fun and extremely flexible to work with. 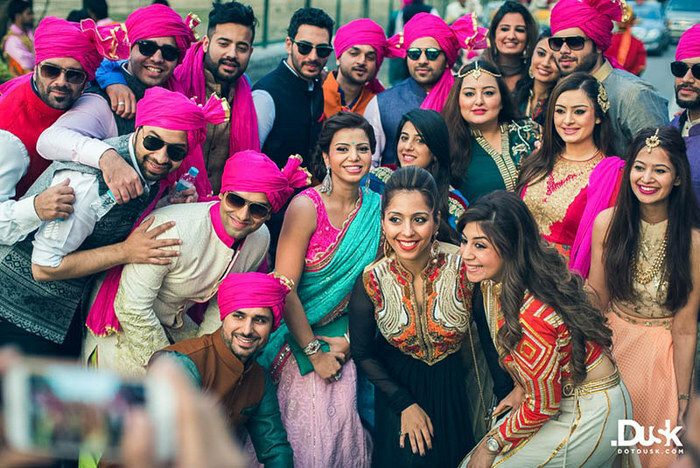 We only found them through google until we realized we got extremely lucky to book such great talent that provided us with memories forever. 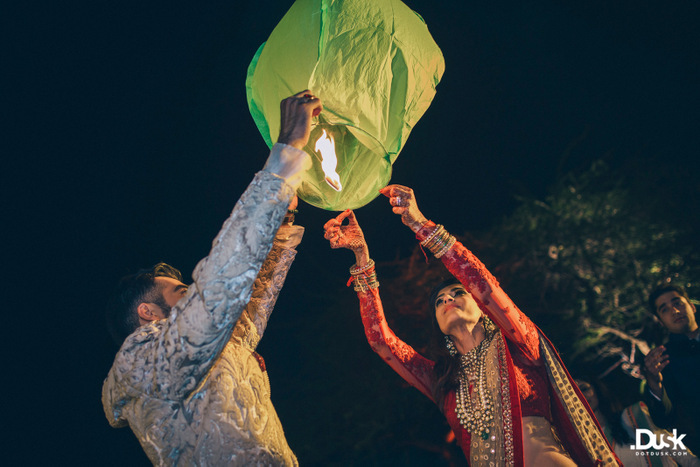 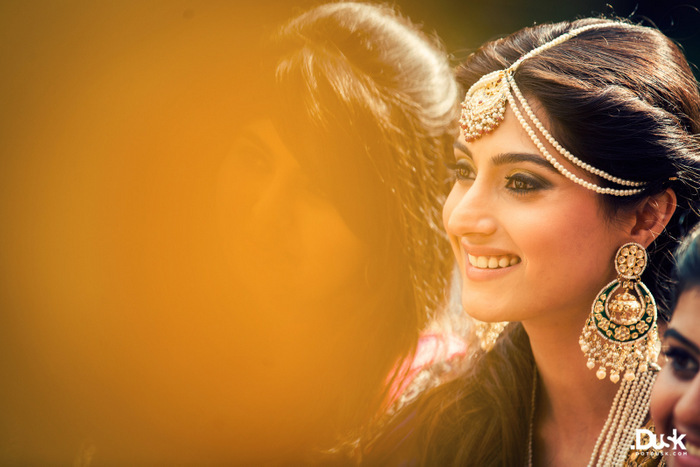 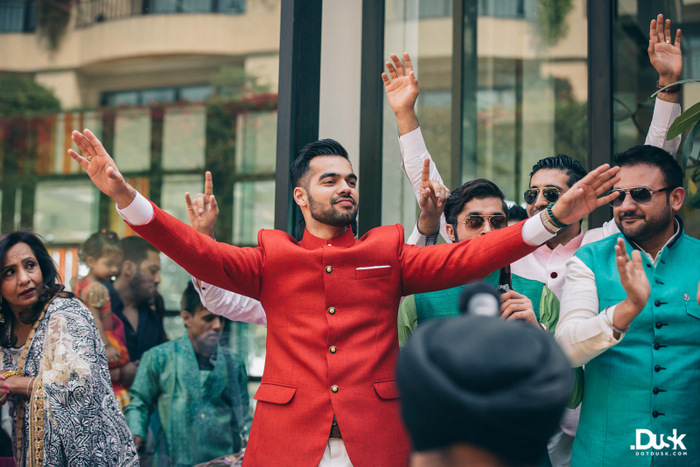 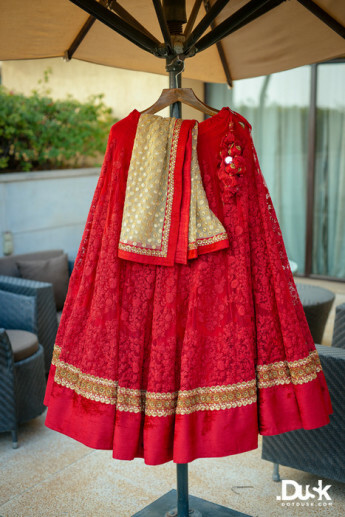 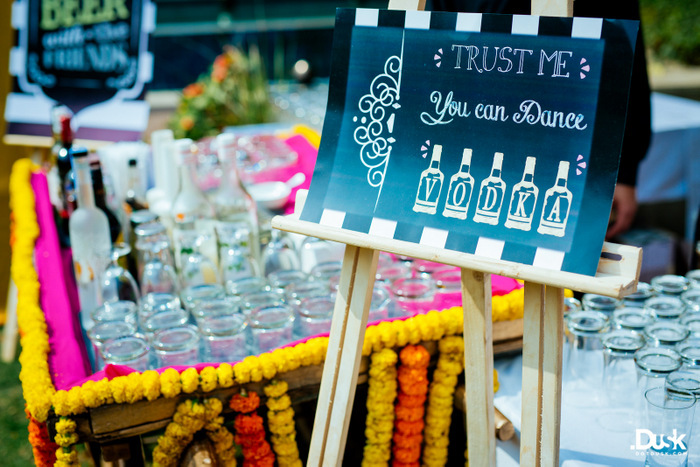 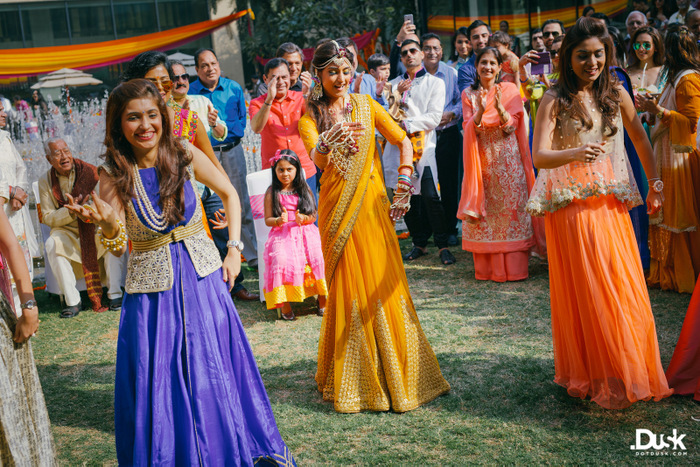 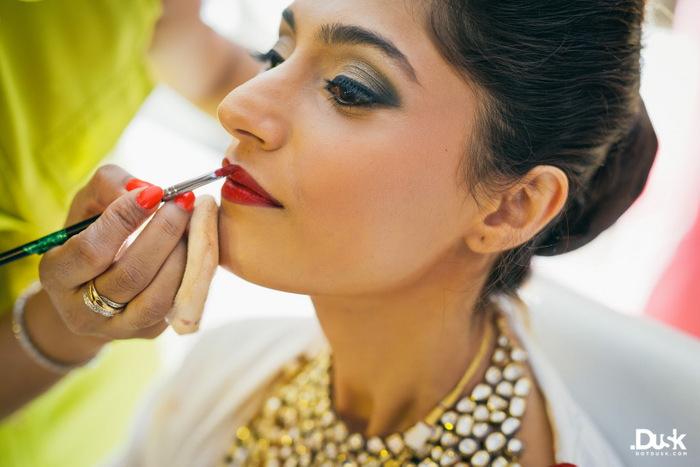 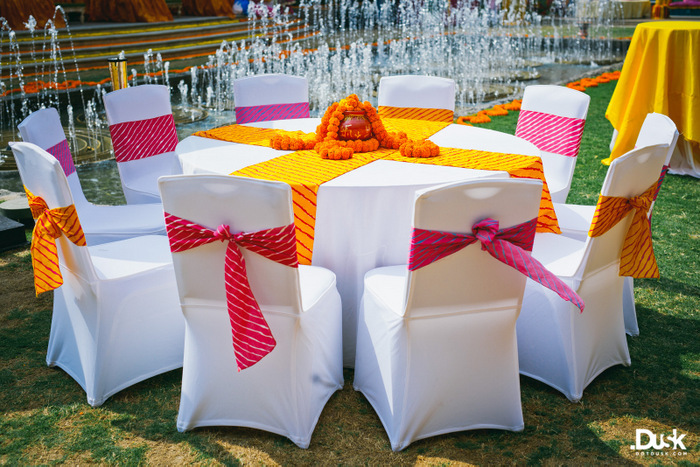 Vibrant Delhi Wedding With A Bride In Deep Wine! 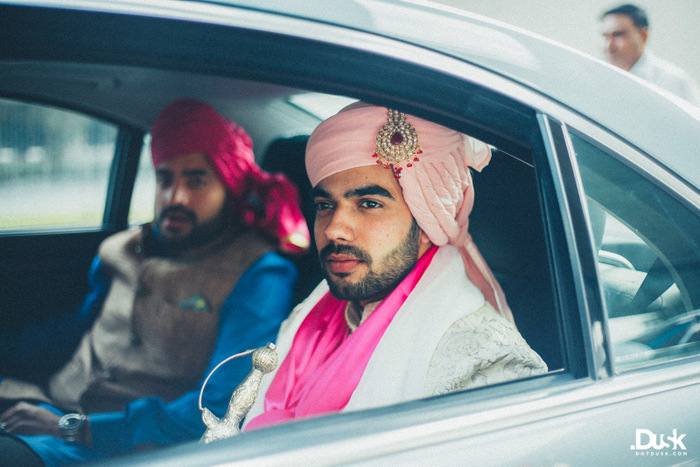 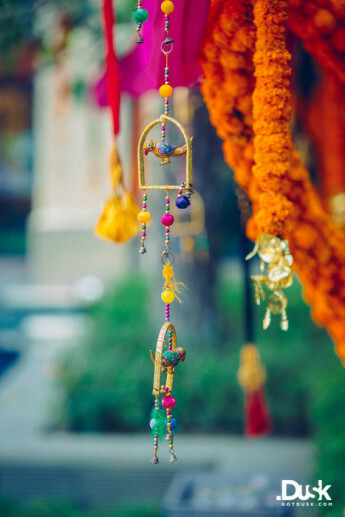 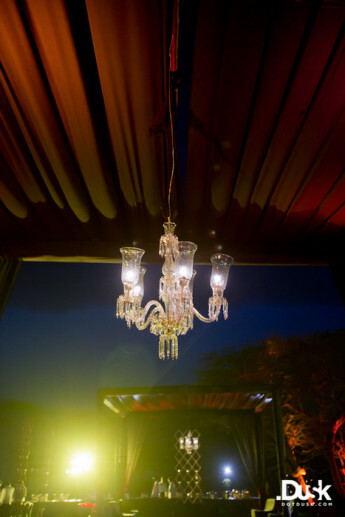 Chic & Elegant Delhi Wedding With an Old-School Charm! 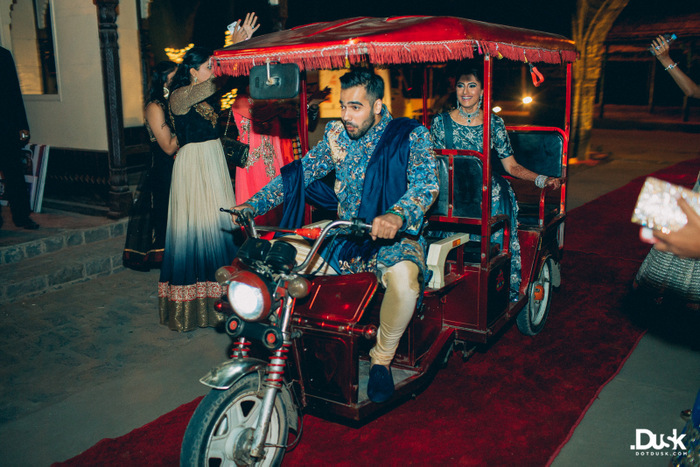 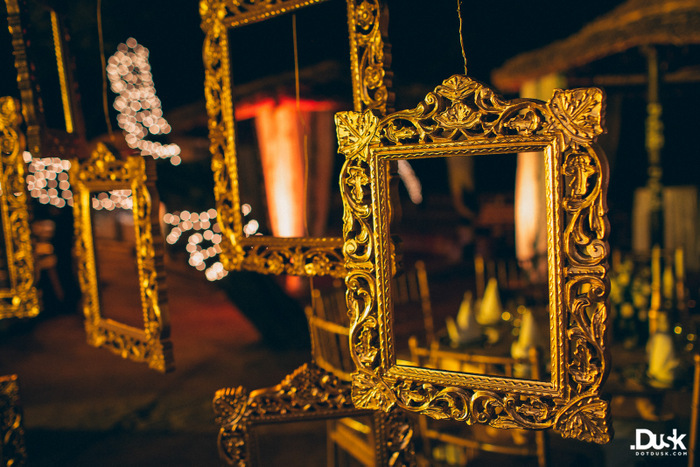 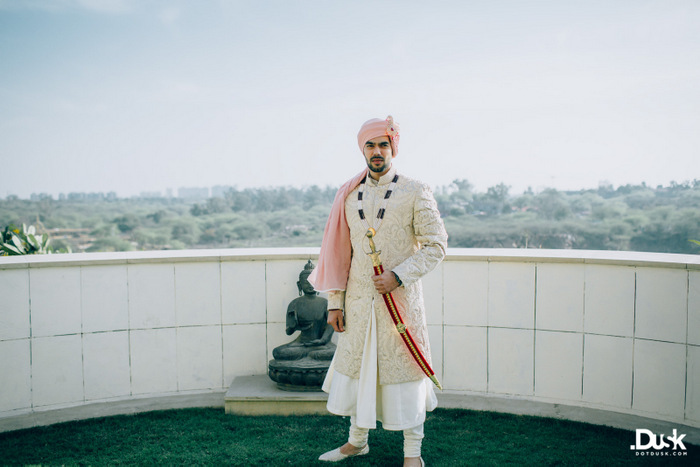 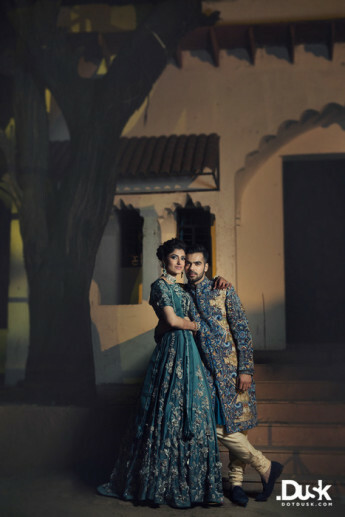 Delhi Wedding With a Classic Elegant Twist! 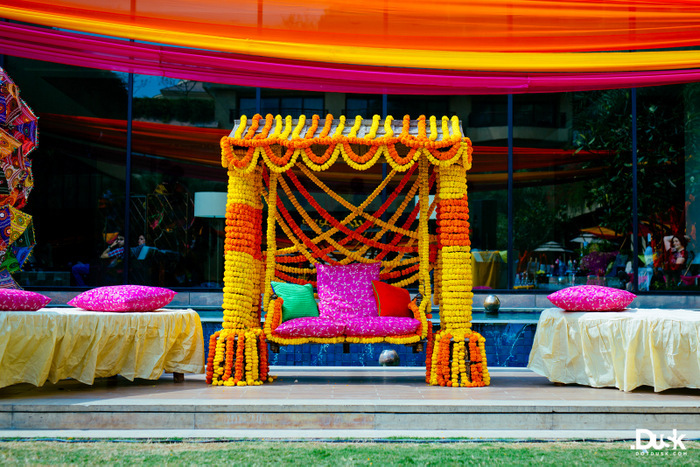 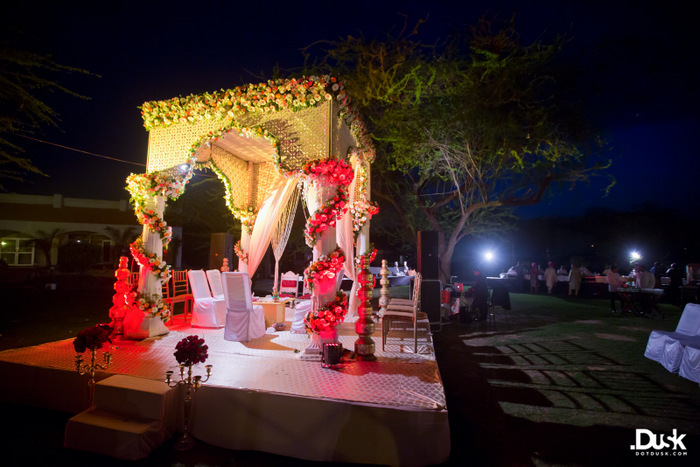 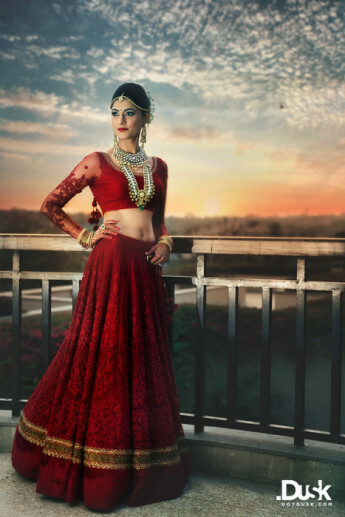 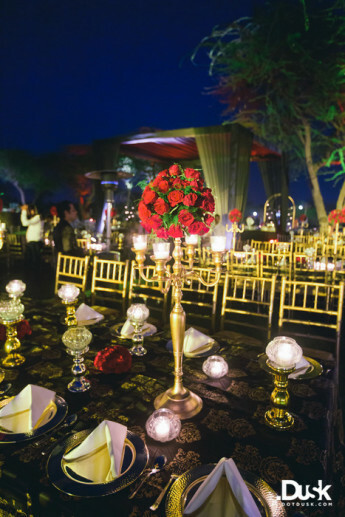 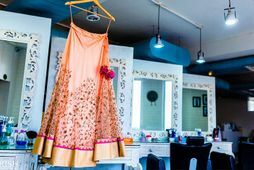 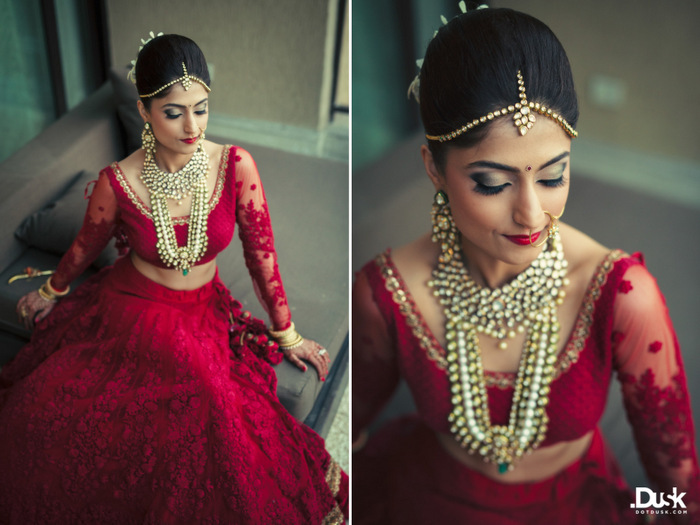 Elegant & Vibrant Wedding in Hyderabad! 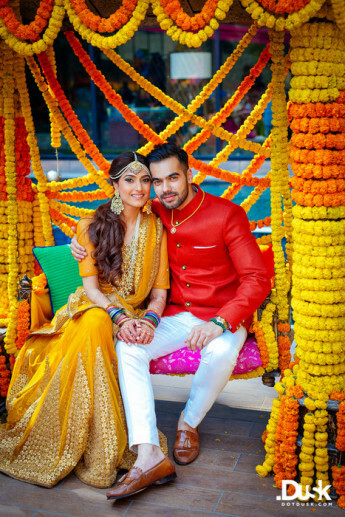 VJ Gaurav Kapur's intimate wedding in Chandigarh !